Here a beautiful stylish outfit for men from [hoorenbeek]. 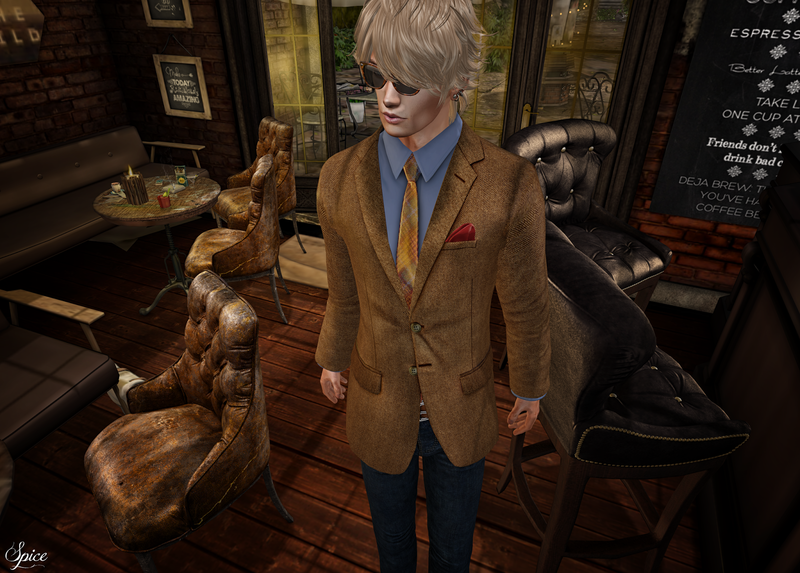 Spice is wearing the amazing "Redmon", a full set which include wayfarer glasses, shirt with tie, tweed blazer, leather belt, rolled up skinny jeans and chelsea boots... really fantastic!! !